My husband and I are looking to upgrade to a bigger home. The problem is, most every home in our price range has old-fashioned or disgusting bathrooms! Many people neglect their bathrooms, thinking they aren't a selling point. This is a mistake. If you have a serious commitment to turning the look of your home around, take a moment to learn more about what you can do to turn your drab, out-of-date bathroom into something fabulous. Glass is a wonderful choice when you want to open things up a little bit. Installing glass doors on your showers takes a little bit of time, but at the end of the day, you will be glad that you did it. A glass door on your bath or shower extends the amount of space that you have visually, and it is also a great deal sleeker and more enchanting than a shower curtain, even one with a liner. Similarly, look at the different doors that you have in your bathroom, like the storage cabinet door and the medicine cabinet door. These are wonderfully candidates for glass replacements. Remember that lighting can save the day when you want a hipper, more exciting look for your bathroom. Stop and check out your light fixture for a moment. If you find that it antiquated in shape or that it casts a yellow light in the bathroom, you need to change it. Choose a light fixture that is made of clear or frosted glass, one that will give you a cooler tone for your home. Similarly, consider switching to daylight bulbs, which brighten up the place and allow you to create a bright look for your bathroom even if you do not have a window into it. 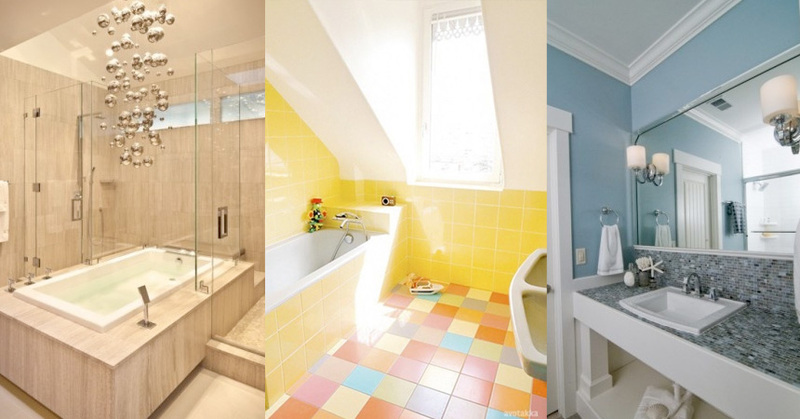 Think about the color of your bathroom. Many people find that yellowed colors or wallpaper give your bathroom a very dated look, so it is likely time for a paint job. 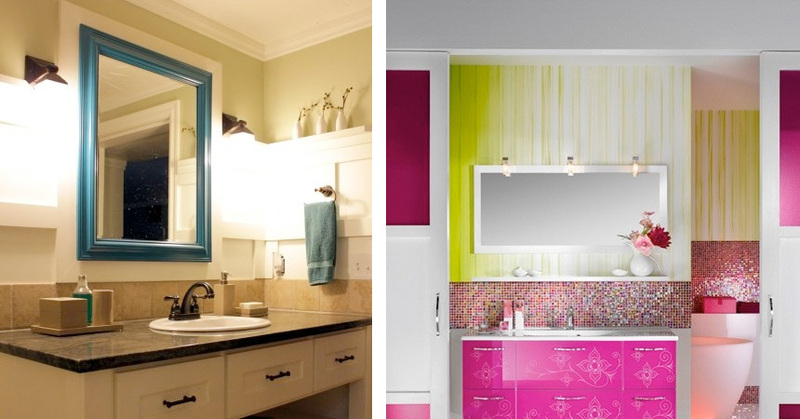 Sit down and decide on a color scheme for your bathroom. What kind of color tones do you want for this small room? 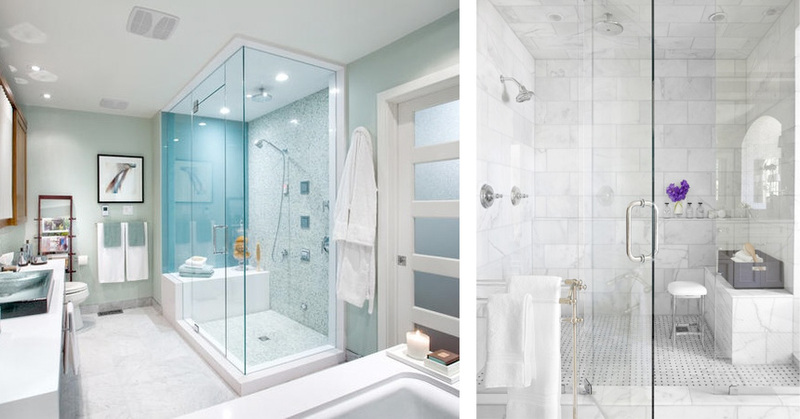 Many home designers choose a cool and soothing tone for the bathroom; for this reason, you may want to consider blues and greens. Even some purples can be cool in tone, so experiment with paint chips and design ideas until you get a theme that you want. If you want one place to add some color, think about putting tile on the floor. Skip the plastic tile and choose ceramic tile instead for a wonderfully urban look. Once you have a color scheme, follow it up with towels and trim that match. Remember that a great deal of your bathroom’s look is going to be influenced by the furniture. For example, think about your sink. Single sink bathroom vanities are currently very popular, and because there is such a wide variety of designs to choose from, you do not risk making anything terribly dated. Not to give too much away, but my husband and I have put an offer down on a major fixer-upper. This would mean a ton of projects for us, but a completely custom home without the custom home price. Cross your fingers that we get it!!! !